Prefab cabins are a great option for anyone looking to add an insulated working or living space to their land in Louisiana. 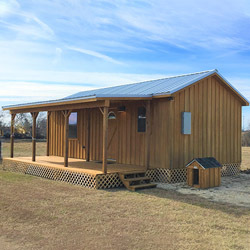 If you are interested in pre-built cabins in Louisiana because you feel like you need to add an additional structure to your farm or you are interested in portable cabins for hunting purposes, Deer Creek Structures can provide you with the perfect prefab cabin for your specific situation. When you order pre-built cabins in Louisiana from Deer Creek Structures, you can choose to have a finished or unfinished cabin sent to you. 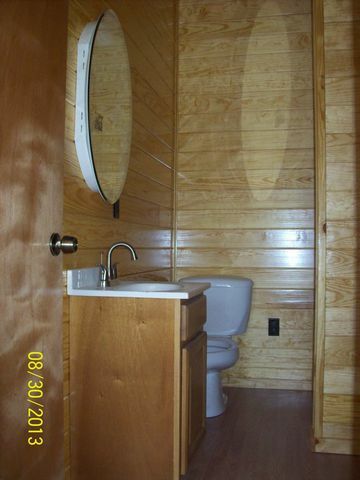 All of the portable cabins built feature cypress wood exterior siding that is designed to last. Cypress wood is known for being very durable, so you won’t have to worry about it rusting or rotting away like metal siding or less durable wooden materials. Cypress siding is also known for acting as a natural insulant, as well, which helps keep Deer Creek Structures’ prefab cabins stay warm in cooler weather and cool in the summer heat. Additionally, all Deer Creek Structures come with a standard metal roof, equipped with low-E insulation that acts as a radiant barrier, while also providing extra insulation and suppressing some of the ambient noise created during heavy rain storms. 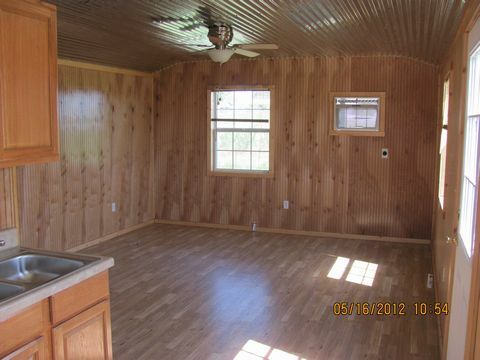 The pre-built cabins in Louisiana that are manufactured by Deer Creek Structures can be used for a number of purposes. There are some Louisiana residents who have asked Deer Creek Structures to create prefab cabins for hunting lodges. These portable cabins can be used to protect hunters from the elements when they are out on hunting trips. Do you want to purchase one of the portable cabins that can be moved around to wherever it’s needed on a farm or in a field? These 12-foot portable cabins would be a great choice. 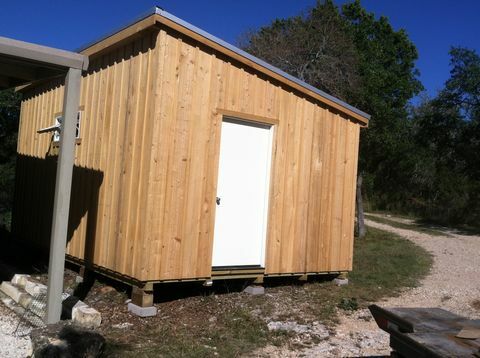 You can use 12-foot prefab cabins to provide shelter near a farm, home, barn, field or hunting site. 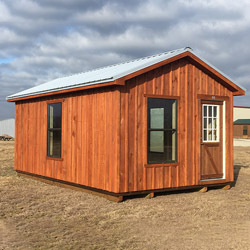 Adding a 14-foot cabin near your home or out in a remote area of your property is the fast and easy way to give yourself plenty of extra space for work or play. They are a great option for anyone looking for even more room for storage, relaxation, work and more. 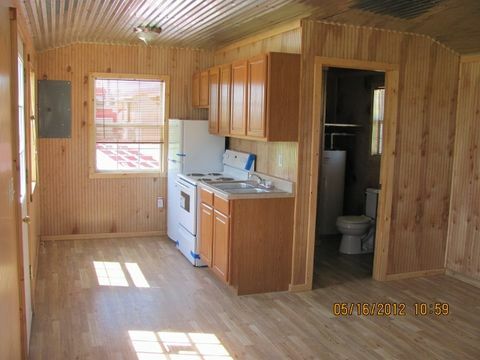 For those looking for the biggest pre-built cabins in Louisiana, the 16-foot portable cabins will be a welcome sight. The 16-foot prefab cabins have all the same amenities and features as the 12- and 14-foot prefab cabins, but offer more square footage for those who need even more space. Deer Creek Structures can provide those in Louisiana with the prefab cabins, barns and run in sheds that they are looking for right now. 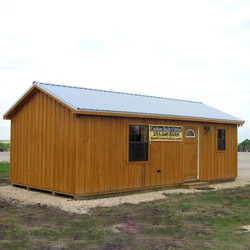 If you are in the market for a pre-built cabin and a reliable product and quick delivery, call 254-546-2276 today to find out how to get your new cabin from Deer Creek Structures.